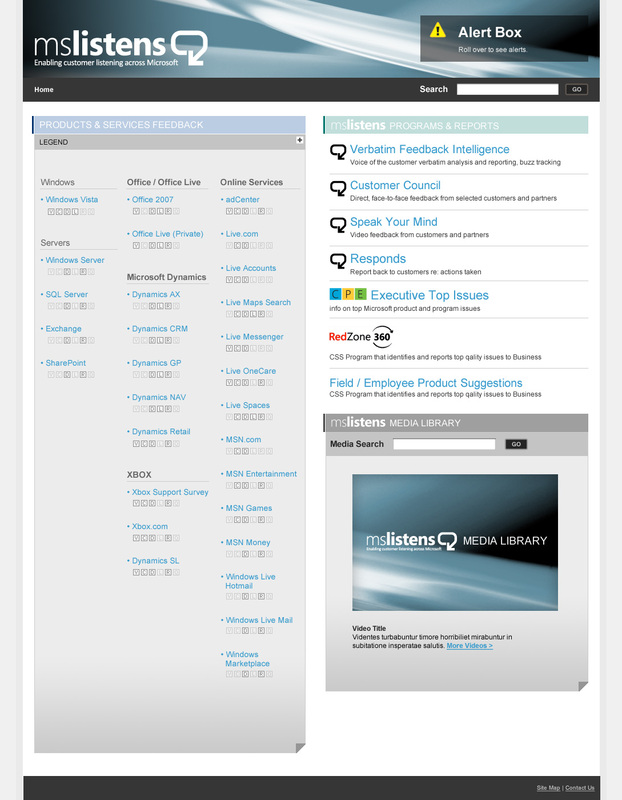 Microsoft�s Voice of the Customer group launched a new MS Listens brand to consolidate several customer feedback programs. They needed a new identity to introduce the brand to internal Microsoft employees and partners. We went through a series of design exercises to arrive at a final logo that emphasizes receiving and listening to customer feedback. We then extrapolated a website design from the branding and delivered a design that works as a portal for Microsoft to hear what their customers have to say. Ultimately, this helps Microsoft to parse incoming feedback better serve their customer base.